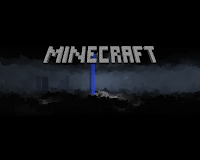 PTSuks Uncanny World: Minecraft 1.9 LEAKED - (Pre-Release) And Minecraft 1.10 Updates! Minecraft 1.9 LEAKED - (Pre-Release) And Minecraft 1.10 Updates! What! What! What! Tis a great Thursday this is! 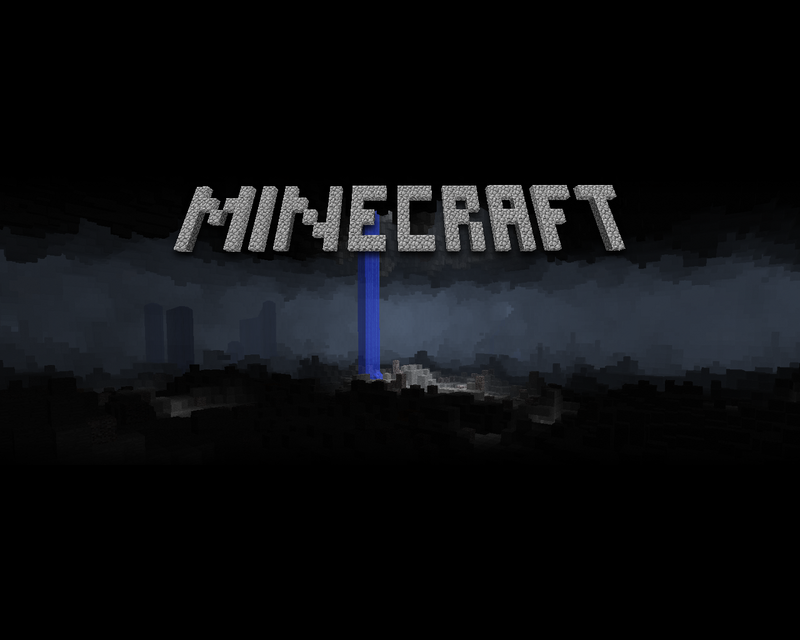 Looks like "someone" again leaked the next update for Minecraft and a 1.10 update! WOOT! Updated features after the jump! We'll do a 1.9 pre-release today, and a full release after feedback. More Adventure Mode content will come in 1.10, we're splitting it up! 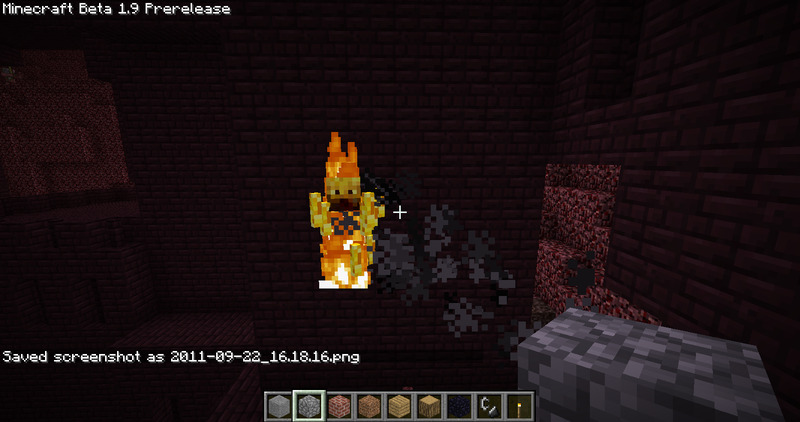 Nether brick is flammable, it will stay on fire regular than a regular stone block but not indefinitely like Netherrack. 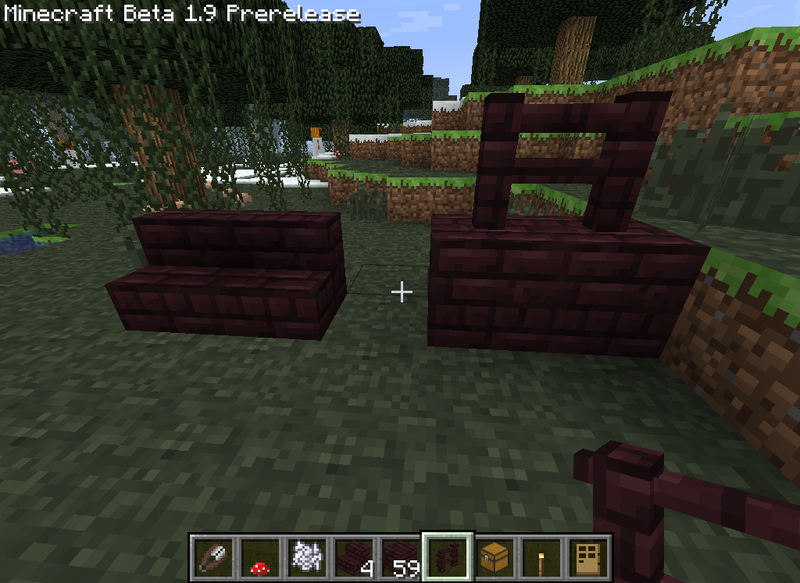 Nether fences cannot be lit on fire. Farm-able Nether crop (Nether Warts), only plantable on soul sand. Ghast fireballs do not damage new Nether materials. Other than the gold nuggets, no uses for other new Nether items are known yet. Hostile mobs will not go after NPCs, but can kill them while coming after you. NPCs do not have any specific purpose of actions yet, they kinda just walk around. 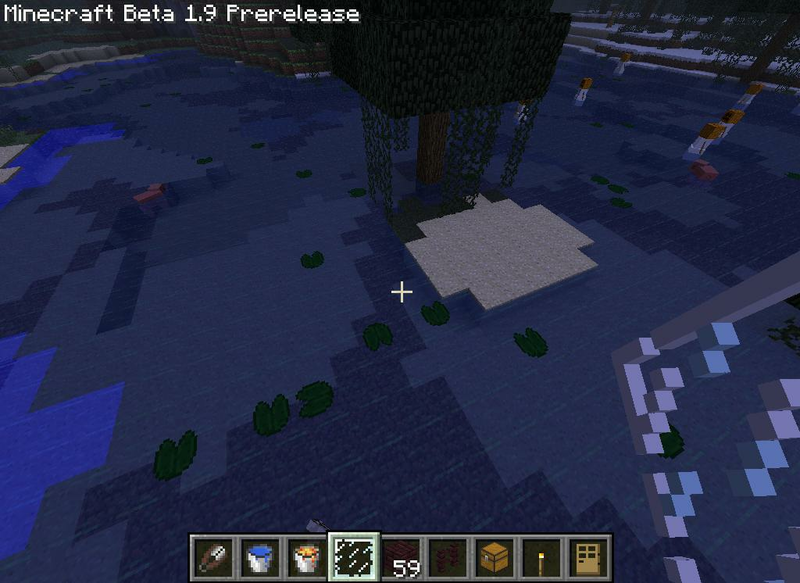 The shade of the water seems to depend on the biome the water is located in: If you pour "swamp water" into a non-swamp biome, you get normal-shade water. If said water flows from a non-swamp biome into a swamp biome, it changes colour at the biome border. 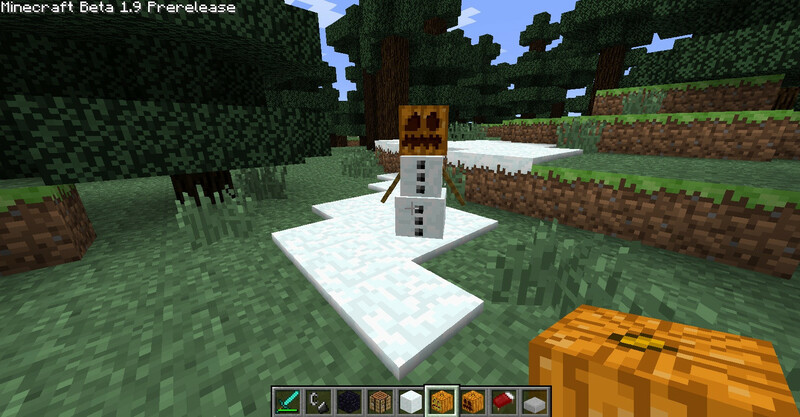 Red flowers and Snow Biomes are back! Chests now make no sound at all. Holding space no longer allows sustained jumping; must tap jump key for each jump. Experience bar changes every time the player jumps (Jeb tweeted that it's not a bug, it "is to test SMP exp orbs... ;)"
Bow sometimes has extra-long melee range? Swamp Grass blocks have improper grass coloring on their sides. 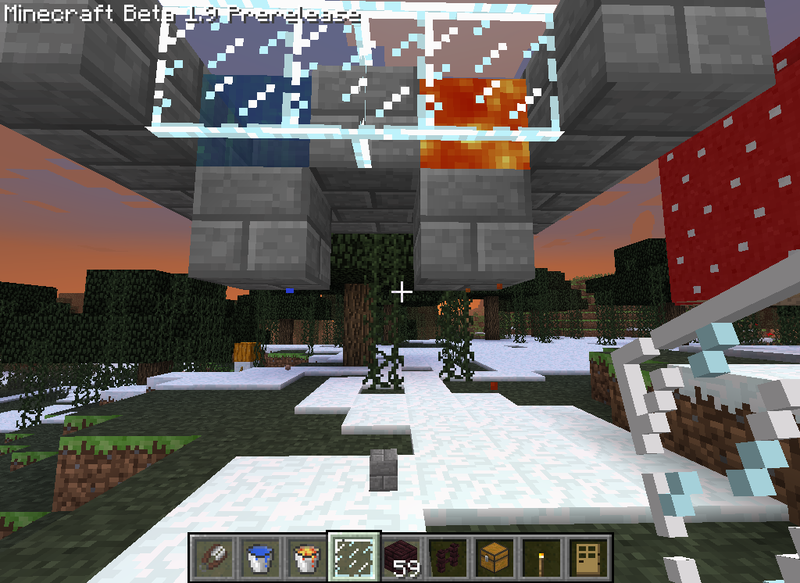 Preexisting light sources (lave, flaming netherrack, etc) might not give off light properly.